*Estimate deliver date: around 30 business days after the confirmation of payment. 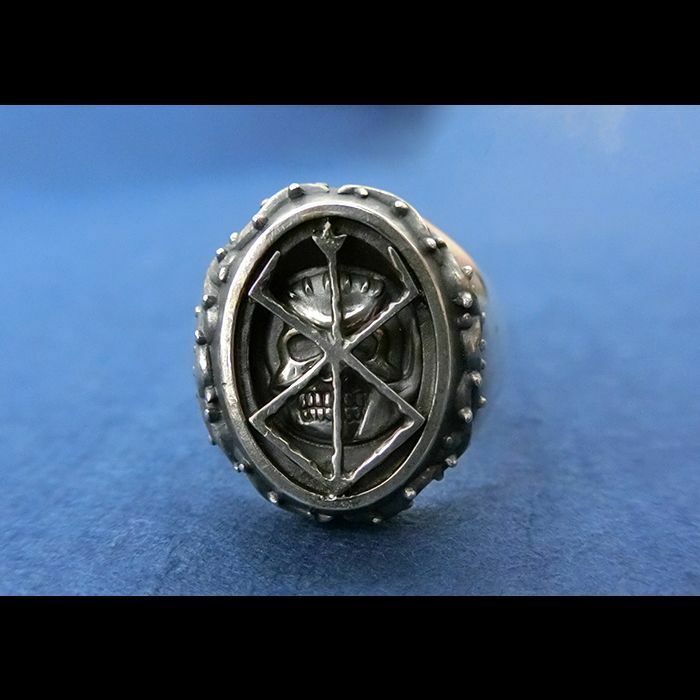 This newly-designed ring features The Skull Knight overlaid with the Mark of Sacrifice – two important elements from Berserk combined together for the first time ever. 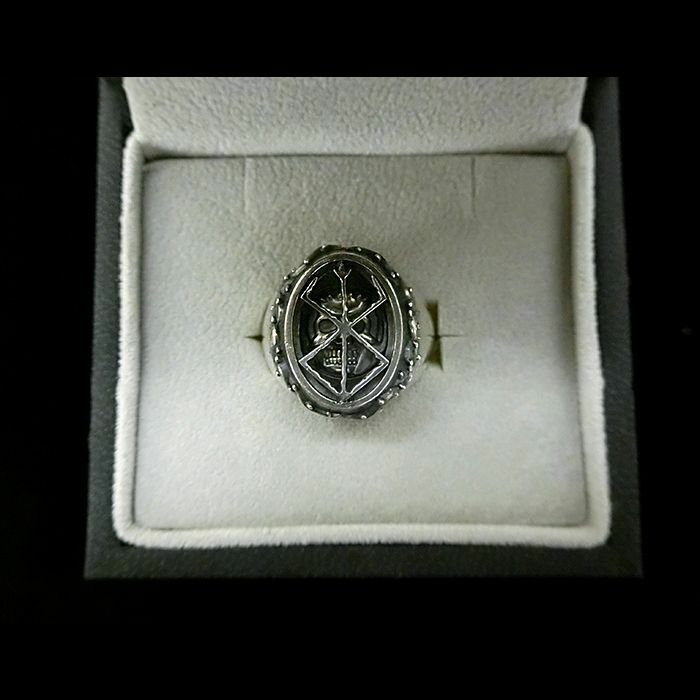 Every ring is carefully handcrafted and engraved by our skilled artisans in Japan. The Mark of Sacrifice element is purposely distorted and full of detailed scars and scratches to express the profound world of Berserk. 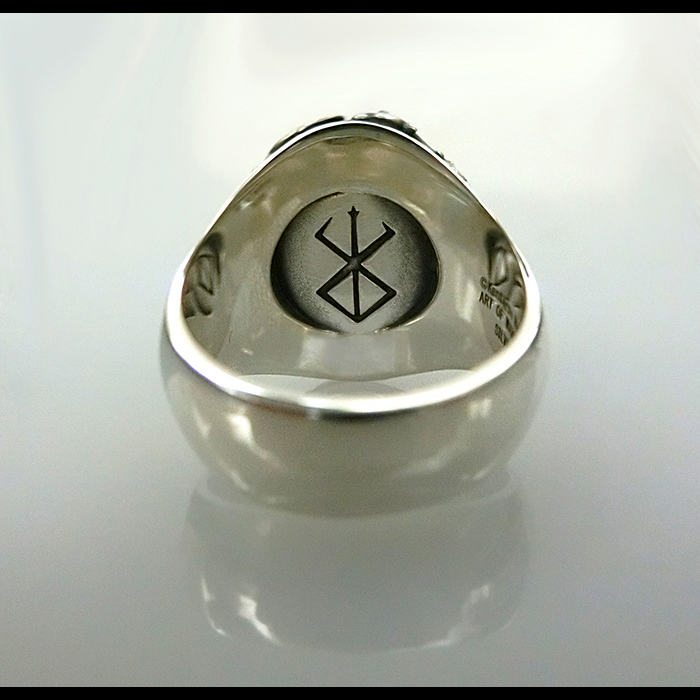 The sides of the ring are designed with thorns taken from The Skull Knight 's sword giving this product a solid feeling of depth. Moreover, every piece has gone through an oxidation process to reproduce an antique feeling. 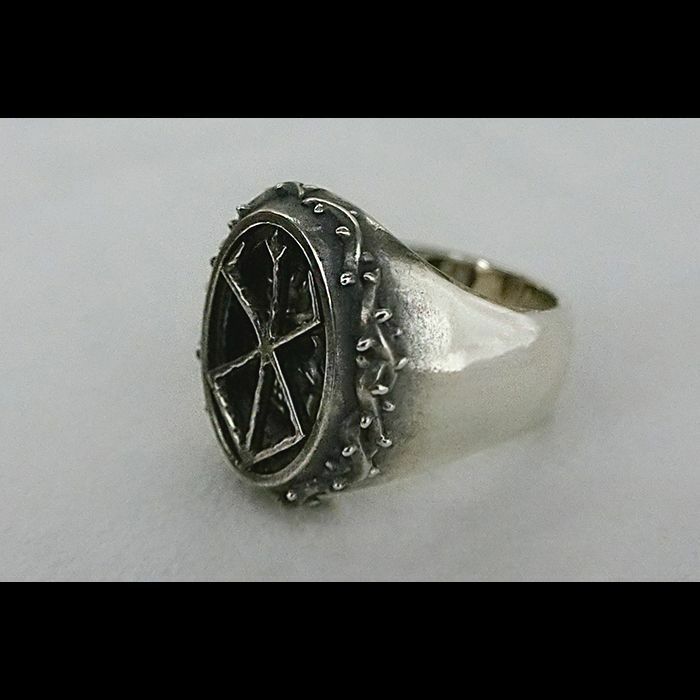 The combination of silver material combined with the authenticity of Berserk results in a ring that has depth and gravitas. This is a great opportunity to add one more fantastic item to your Berserk collection. - Silver is soft metal. Please avoid applying strong pressure on it. 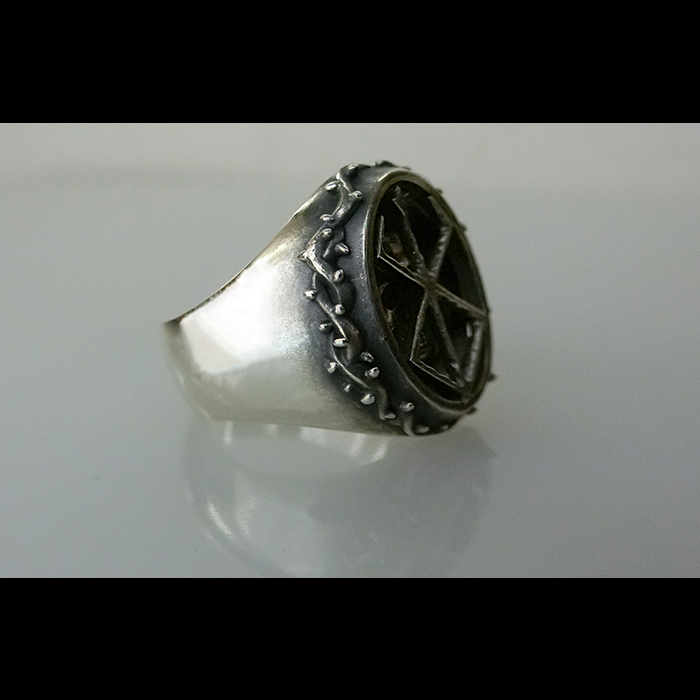 - This ring is a made to order item. We do not accept cancellations. Once cancellation occurred, we would not accept the order from the same ID again and the payment will not be refund in any case. So please do consider carefully before the purchasing. - Since every item is handmade, there might be subtle differences in the colors. By polishing the ring, you can enjoy delicate effects of silver. Please remember to inform us if you have any needs or requires for the shipment, or we are not able to do anything for the invoice. Thank you for your cooperation. **Please kindly contact us after your pre-order and provide the number of your size. Please write the correct delivery address with your country name in English when you register an ID.